THIS PROGRAM HAS BEEN CANCELLED DUE TO THE WEATHER. After the recent commemoration of the 50th anniversary of the assassination of the Reverend Dr. Martin Luther King, Jr., it is time to reflect upon the promises made and not yet kept in the name of civil rights and social justice. This talk is intended to remind the audience that there were, in fact, lessons learned from the hard work of many good persons who were committed to making this nation become the bastion of freedom that it claims to be. It is important to recognize in this great country of plenty that the job is not yet done and that we all have a role to play. Presented by Professor Ric Sheffield of Kenyon College. Light refreshments will be served. 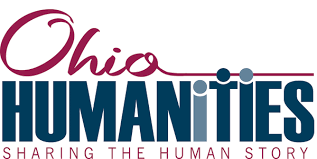 This program is made possible in part by the Ohio Humanities Council, a state affiliate of the National Endowment for the Humanities.